Well, 2017 was a great year, and it has flown by faster than I thought time could. I had a lot of fun and achieved a lot I set out to, even if I did make up goals as I went, haha! In February, I got to head to Playgrounds – A new conference for iOS Developers. It was a great couple of days, with fantastic talks, and even some “famous” developers were over from the states to give their 2c on the latest trends and nifty things to do. It was also nice to see my Melbourne friends and check out the shops – including a Tesla at the top of David Jones. Neat. The next cool thing for the year was the Leaping Tiger charity stream for Starship Children’s Hospital. In early April, Amy, Jordan and a few volunteers including myself, did a 12 hour stream on Twitch.tv covering about ten different games on many different consoles. The team at work generously let us use the office, and Leaping Tiger raised around $3,000 NZD for charity. I even took a cream pie to the face as a reward tier. This was a really great event to be part of, and everyone had a lot of fun. In May, I was given a rare opportunity to work with Code Club New Zealand to take to our national parliament building, the Beehive, and chat to some ministers about CS Unplugged, a project I worked on a while back, and even teach them some basic computer science, such as the binary search algorithm. This was super fun, and the ministers had a blast. NZ is leading the way in computer science education and I’m proud to play a part in that story. Earlier in the year I had a silly thought that “I might as well do a marathon this year". Like most silly ideas I have, I ended up doing it. After months of training, many half marathons, and even longer runs (seeing parts of Wellington I never had before), I took on the challenge in the Wellington Marathon. My father (a few marathons under his belt) flew up to see me complete it, and I was able to just beat 4 hours for my time. I was (and still am) completely thrilled with the effort. I don’t think I’ll do another, but I’m not ruling it out. After the Marathon, smiling by dying inside. In July, Amy and I headed to Christchurch for a few days of wineries, relaxing and exploring the rebuilding city. We also celebrated our first anniversary there. Amy made a vlog of the experience. It's really nice to see the rebuild progress, and we did the same over Christmas again. Christchurch and surrounds is really starting to bounce back, which is great to see. 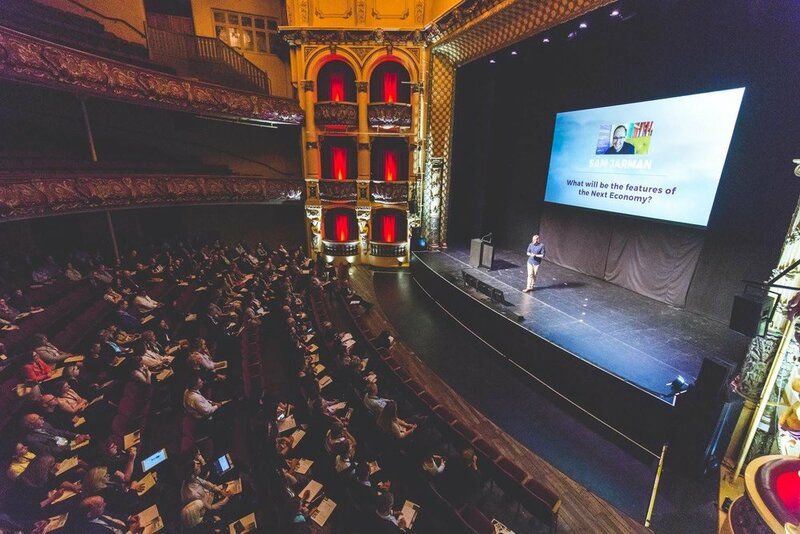 In August, I spoke at our local mobile conference - Mobile Refresh on What’s New in Push Notifications. This was a great chance to give back to the local community on behalf of Carnival. Also in August, I headed back to Melbourne for the third year in a row to speak at /dev/world/. I spoke on Carnival’s growth when we onboarded a few big clients, and what that meant for code bases, the team and our processes. I also got to be on a careers panel for students, which was a great opportunity to share a bit of my side project work, which I talk about later on. Lastly, I presented a short "lightning talk" with some comical comparisons between NZ and Australia, and a few in-jokes from the conference. The conference also was celebrating its 10th year running, so spirits were high and the atmosphere was positively ecstatic. In September, we had a work trip the Ski slopes of Mount Ruapehu. After having not skied for 10 years, it came back fairly quickly, but was definitely a bit out of my comfort zone to start with. It was an enjoyable day of skiing and some good fun with my colleagues. In November, I got a chance to speak with my futurist hat on at Work In Progress. I was honored to open the conference with a comical deconstruction of how we’ll end up living like those in Star Trek with no currency, on demand production of anything, and more time for exploration and the arts, all backed by well recognised future trends. In March, My main achievement was finally sorting out my personal website (SamJarman.co.nz). I’d been meaning to do this for a while, and it let me build on a lot more project ideas. In April, I started a new blog series called “Junior Dev Diaries”. The series documents the lessons I had learned about the software industry in my first 2-3 years of working. The topics were guided by demand from industry, and topics I wanted to cover. The posts were quite successful, with some even going somewhat “viral” on Medium and Dev.to. I particularly liked working with local organisation Summer of Tech on getting the content into the hands of many students, with positive feedback. I continued the series with weekly posts and then the odd post, and it’s still going. I think after a few more years of posts, I might have enough content for a book. As the bulk of the Junior Dev Diaries was finishing up, I decided to change things up about it and launched "Dev Chats". Dev Chats is an interview series where I interview a different developer, tester, ops etc roughly once a week. By the end of the year, I’d done about 18 interviews that have been published, and the feedback has been great. 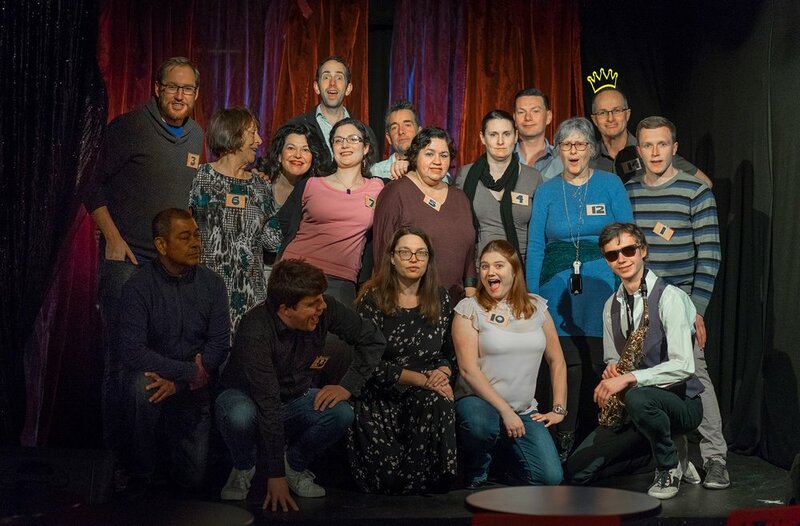 In June, I got to continue my hobby of Improv acting with a few Micetro shows at The Fringe Bar with the Wellington Improv Troupe (WIT). I did one or two nights of performances. In December, with the opening of the Scruffy Bunny Improv Theatre, WIT and some friends have put together shows to fill the roster, so I’ll be in two new shows trialed in 2017 but starting properly in 2018. The first is Attack of the Killer B-Movie, an hour long show spoofing the great/terrible “B-Movies” of the 1950s. 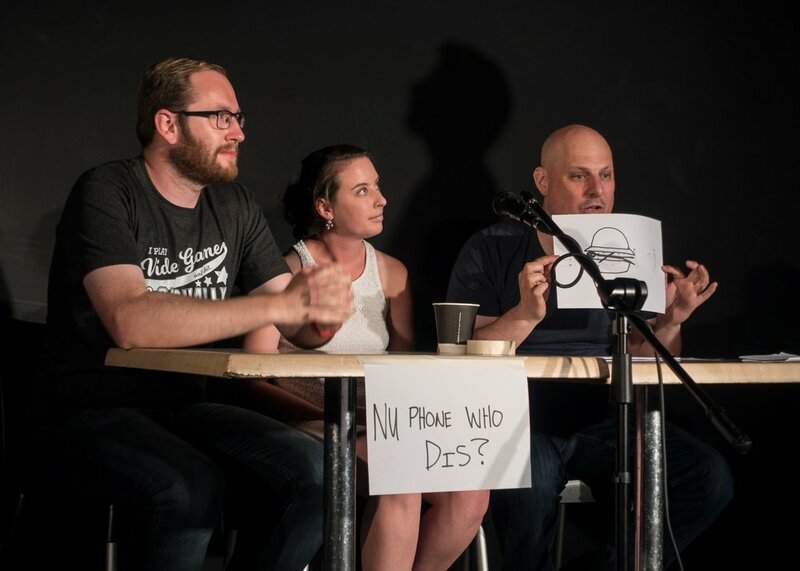 The second is Headliners vs the Headlines, a panel show (similar to the british The Big Fat Quiz), where a mix of comedians and improvisors answer current events questions from the news, generally around a certain topic. In addition to this, I also successfully auditioned to be on the in-house team for the theatre, meaning we’ll be performing as warm up acts before a lot of external shows. A LOT of improv next year! Working at Carnival (Sailthru NZ) has been great this year. I’ve had great opportunities to work on some cutting edge technology and tools, and adopting new ways of thinking. I am really grateful for the opportunities my manager gave me this year. There were plenty of highlights to enumerate here, but some that come to the top of mind were working with Interns, hiring more people, ski trip, and speaking on behalf of the company overseas. We had a great Christmas party as well. However, after three years working on the product with the team, it was time for something new. Fortunately, I am stoked to announce I have found a new job at the Bank of New Zealand on their digital team. I’ll be working primarily as an iOS app developer on the everyday banking app that thousands of Kiwis use every day. I start in late January of 2018 and I’m very excited. Locally, BNZ Digital has a great reputation, so I’m excited to see what makes that culture so great, and to try add to it where I can. In summary, 2017 was great. I did plenty of new stuff and made some great progress on my side projects, hobbies, and work. 2018 will be the year of change. New job, more hobbies, more travel to visit Amy in Auckland, different fitness goals, and much more. Bring it on!